I STARTED LEARNING VIOLIN at the age of nine, courtesy of the free lessons offered at my elementary school in Compton, back in the days when there was funding for music education in California. I was taught classical technique and played in orchestras throughout my school years and as a music major for two years at the University of Southern California (USC) in Los Angeles. In 1986 I began playing folk music, including Irish, Scottish, New England, and Old-Time tunes for contra dancing. For nine years I played with Lime in the Harp, for dances, concerts and weddings in San Diego. I also played the music of old California at many historic sites with Los Californios. In April 1999 I moved from San Diego to Mendocino where I’ve been playing for weddings and other events with Chet Boddy in Calliope Creek. 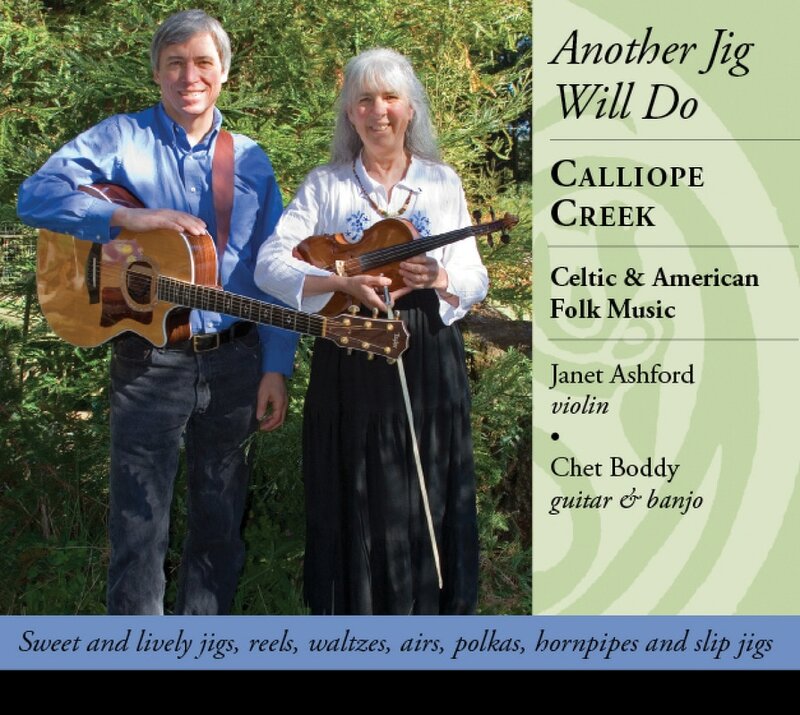 ANOTHER JIG WILL DO is our tasty collection of sweet and lively jigs and reels alternating with sedate and lovely slow airs and waltzes. Order a copy at CDbaby or download single tracks at iTunes. You can hear track samples at both places. Enjoy! It's also available in the village of Mendocino at Gallery Bookshop on Main Street, at Icons gift shop in Mendocino, and at the Point Cabrillo Lighthouse in Caspar.